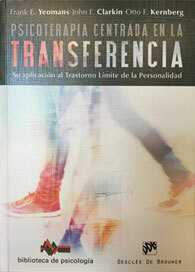 "Transference-Focused Psychotherapy for Borderline Personality Disorder: A Clinical Guide" presents a model of borderline personality disorder (BPD) and its treatment that is based on contemporary psychoanalytic object relations theory as developed by the leading thinker in the field, Otto Kernberg, M.D., who is also one of the authors of this insightful manual. The model is supported and enhanced by material on current phenomenological and neurobiological research and is grounded in real-world cases that deftly illustrate principles of intervention in ways that mental health professionals can use with their patients. - From the chapter on clinical assessment, the clinician learns how to select the type of treatment on the basis of the level of personality organization, the symptoms the patient experiences, and the areas of compromised functioning. In order to decide on the type of treatment, the clinician must examine the patient's subjective experience (such as symptoms of anxiety or depression), observable behaviors (such as investments in relationships and deficits in functioning), and psychological structures (such as identity, defenses, and reality testing). - Next, the clinician learns to establish the conditions of treatment through negotiating a verbal treatment contract or understanding with the patient. The contract defines the responsibilities of each of the participants and defines what the reality of the therapeutic relationship is. - Techniques of treatment interventions and tactics to address particularly difficult clinical challenges are addressed next, equipping the therapist to employ the four primary techniques of TFP (interpretation, transference analysis, technical neutrality, and use of countertransference) and setting the stage for and guiding the proper use of those techniques within the individual session. - What to expect in the course of long-term treatment to ameliorate symptoms and to effect personality change is covered, with sections on the early, middle, and late phases of treatment. This material prepares the clinician to deal with predictable phases, such as tests of the frame, impulse containment, movement toward integration, episodes of regression, and termination. - Finally, the text is accompanied by supremely instructive online videos that demonstrate a variety of clinical situations, helping the clinician with assessment and modeling critical therapeutic strategies. 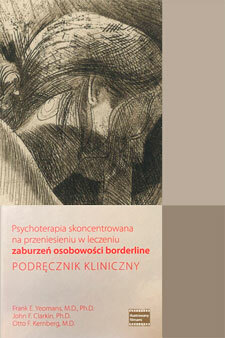 The book recognizes that each BPD patient presents a unique treatment challenge. 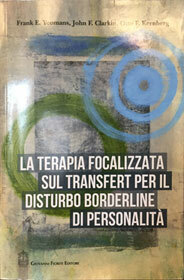 The book recognizes that each BPD patient presents a unique treatment challenge. Grounded in the latest research and rich with clinical insight, "Transference-Focused Psychotherapy for Borderline Personality Disorder: A Clinical Guide" will prove indispensable to mental health professionals seeking to provide thoughtful, effective care to these patients. Frank E. Yeomans, M.D., Ph.D., is Clinical Associate Professor of Psychiatry at Weill Cornell Medical College, Director of Training at the Personality Disorders Institute at Weill Cornell Medical College, and Adjunct Associate Professor of Psychiatry at the Columbia Center for Psychoanalytic Training and Research, New York, New York. 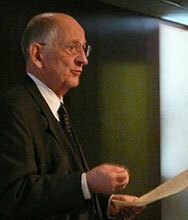 Otto F. Kernberg, M.D., is Director of the Personality Disorders Institute at Weill Cornell Medical College, Professor Emeritus at Weill Cornell Medical College, and Training and Supervising Analyst at Columbia University Center for Psychoanalytic Training and Research, New York, New York. Order here, American Psychiatric Publishing, Inc.